Why cook and prepare a 2nd night Seder at home? Relax and celebrate with friends at our spirited, songful Seder, including a full-course kosher-for-Passover catered dinner. Members $50 pp; non-members $65 pp; children ages 5-12 $25; under 5 free. Members $60 pp; non-members $75 pp; children ages 5-12 $25; under 5 free. No orders will be taken after Monday March 26! Register and pay through ACI office or via Paypal by clicking here. If you would like to help sponsor this event, please click here to make a donation. 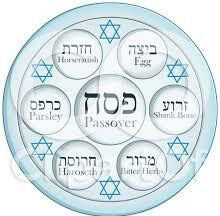 You will be helping to fulfill the mitzvah of (as we read in the Haggadah) "Kol dichfin yetei v'yeichal, kol ditzrich yetei v'yifsach...Let all who are hungry come and eat, let all who are in need come and celebrate Passover."